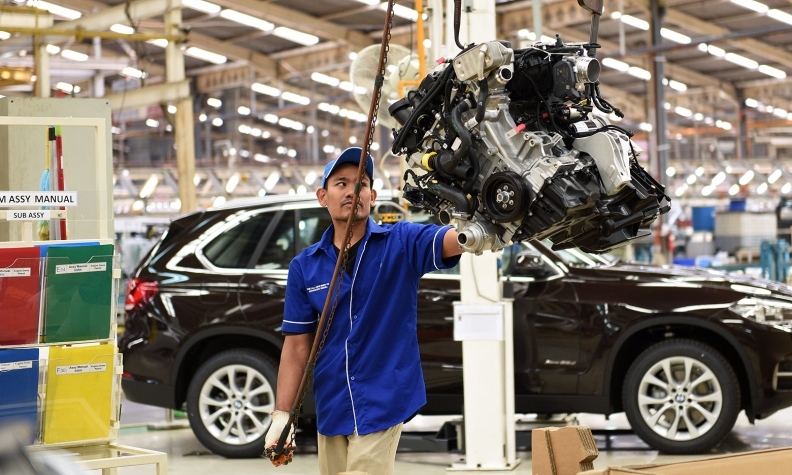 The engine for a BMW X5 advanced diesel SUV is prepped for installation at an assembly plant in Jakarta, Indonesia, in April. A new report from European Federation for Transport and Environment raises doubts about the integrity of Europe's emissions testing and suggests that other automakers may have used similar methods to improve readings in diesel emissions tests. A European environmental group issued a report earlier this month that suggested other automakers in addition to Volkswagen and Audi may use software or other technology to enable their diesel vehicles to perform better in emissions testing than in actual, on-road driving. 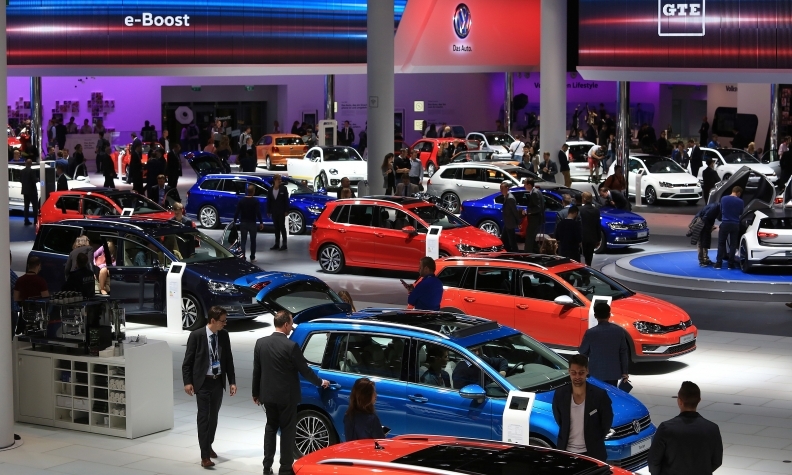 The European Federation for Transport and Environment based its assertions on a review of data from the International Council on Clean Transportation, the organization whose tests sparked the crisis that has engulfed Volkswagen. The EPA last week said that Volkswagen had admitted to equipping 2.0-liter diesel versions of the Jetta, Golf, A3 and other models with software that cut their emissions under test conditions, and shut off emissions-control systems while in actual use. The EPA said the issue affects 482,000 Volkswagen and Audi vehicles, from the 2009-15 model years, that were sold in the U.S. Volkswagen said today that 11 million diesel vehicles worldwide have the “defeat device” software. The report from Transport & Environment, as the European federation is known, raises doubts about the integrity of Europe’s emissions testing and suggests that other automakers may have used similar methods to improve readings in emissions tests. The federation released its report on Sept. 10 — before the EPA disclosed its conclusions about Volkswagen — but it attracted little media coverage. A BMW spokesman said the company’s vehicles meet emissions requirements in both laboratory testing and in real-world use, and noted that ICCT also came to that conclusion in its study. He added that neither the EPA nor the California Air Resources Board has approached BMW concerning any “defeat device” issue. Mercedes-Benz parent Daimler AG didn’t respond to requests for comment on the Transportation & Environment report. Following the reports on VW, Daimler said it was not aware of any investigation of Mercedes vehicles in the U.S.
General Motors was not available for comment.